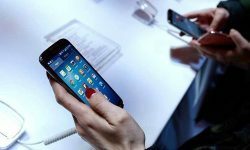 ISLAMABAD: In an attempt to curb illegal import of mobile devices, Pakistan Telecommunication Authority (PTA) has started to send messages through Short Messaging Service (SMS) to all mobile subscribers to create public awareness about Device Identification, Registration and Blocking System (DIRBS). Any mobile device that reflects non-compliant status after October 20 would be blocked in accordance to PTI/DIRBS regulations. The system facilitates legitimate device importers and mobile device users and improve overall security situation. As per the information issued, the telecom consumers can verify the status of their mobile device by sending International Mobile Equipment Identity (IMEI) number via SMS to 8484 or on website. The status can also be verified by www.dirbs.pta.gov.pk or by downloading DIRBS Android mobile application from Google Play Store. The final phase of DIRBS shall begin on October 20, 2018. 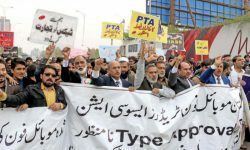 A senior PTA official said that illegal and unregistered mobile handsets are a threat to public security. The official added that terrorists and criminals cannot be traced who use these mobile phones for any dangerous activity throughout the country. In most of the cases, it had been observed that mobile handsets, usually without any identity are used in criminal activities. These handsets are either brought from other countries, local market, or were snatched or stolen from the people. PTA had implemented a system called DIRBS which would simply make a non-compliant handset useless. It means handsets will not work on local networks. A handset or any SIM-run devise is now required to be registered with PTA’s system. An IMEI number of a phone is 15-digit code, which should be available in PTA’s database or a user could register his phone with PTA system. After the first deadline, PTA will send messages to all unregistered handsets and ask them to get registered with DIRBS. This is a phase-wise process that would take a few months to be completed. The telecom authority will carry out awareness campaigns in different cities to educate the public.